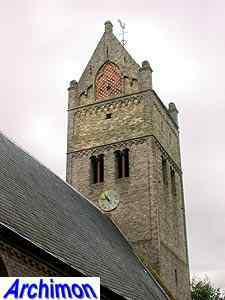 The church of Jorwert is rather big for such a small village. 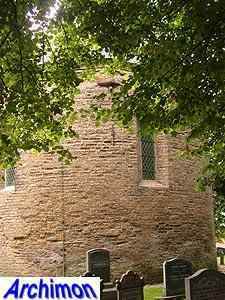 It was probably preceded by a small wooden church, which was replaced by a stone church in the 12th century. 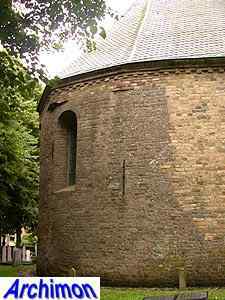 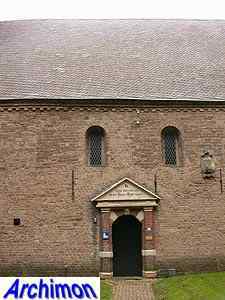 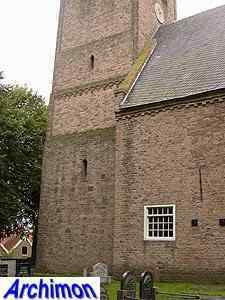 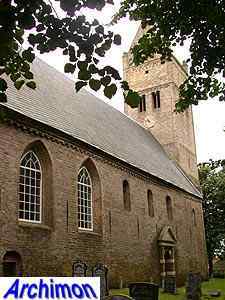 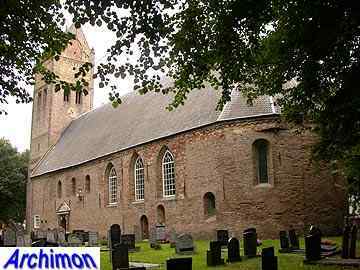 The church was dedicated to Mary and later to St. Radboud. 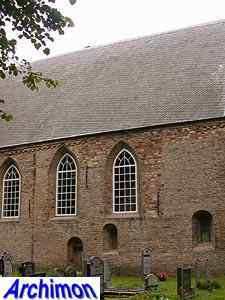 It's an aisleless church but with quite a long nave, built in the early-12th century. 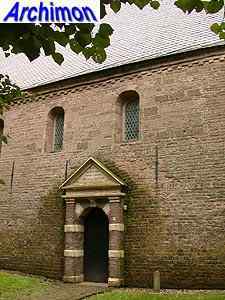 As usual for that period, it was built in Romanesque style using tuff. 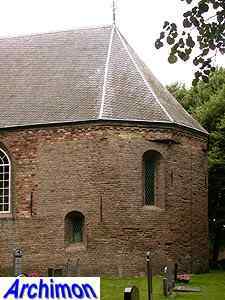 The choir was added in the 13th century as an extension of the nave and closed by a semi-circular apse with a polygonal upper part supporting the roof. 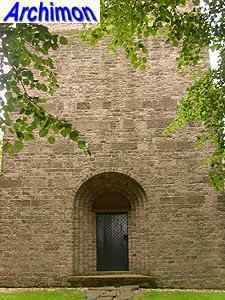 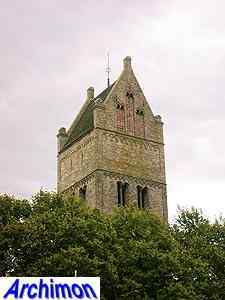 The tower was built in the late-12th century and heightened in the 13th with a fourth section in Romanogothic style. 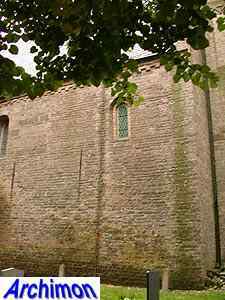 Parts of the northern wall of the nave were repaired with bricks. 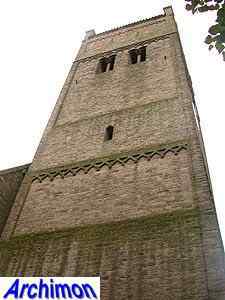 On August the 25th of 1951 the tower collapsed during a restoration. 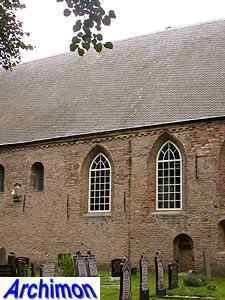 In the following years money was collected to pay for the reconstruction, which began in the Summer of 1953 with the laying of a new foundation. 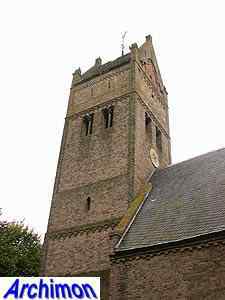 The tower was rebuilt in the original style while the nave was restored with some changes to the previous situation. 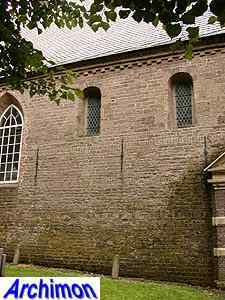 The Gothic windows in the choir and in the western part of the nave were replaced with reconstructed Romanesque windows, while the later Gothic ones in the eastern half of the nave were retained. 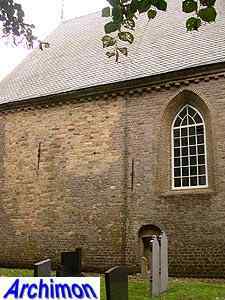 Part of the bricks used came from the church of Dearsum, which had just been restored. 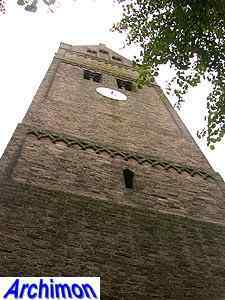 The tower was completed in 1954, but the restoration continued until 1956.